Medulloblastoma is the most common malignant brain tumor of childhood. Genomic analysis has revealed that there are at least four distinct subgroups of medulloblastoma: WNT/WINGLESS, Sonic Hedgehog, Group 3 and Group 4. Determining which of these molecular subgroups the tumor belongs to at the time of diagnosis is expected to improve risk classification and identify patients most likely to benefit from targeted molecular therapies or a reduction or increase in the amount of therapy. 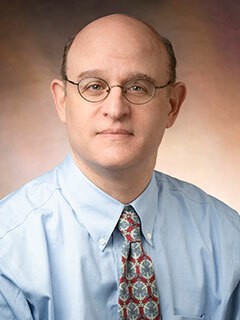 Michael J. Fisher, MD, and researchers at the Center for Childhood Cancer Research, in collaboration with other hospitals and an industry partner, are conducting a Phase II clinical trial to gain a better understanding of the medulloblastoma molecular subtypes and the associated clinical outcomes for each. They’re also looking at the effectiveness of different treatment strategies for these subgroups. As part of the study, researchers are collecting tumor tissue, blood and cerebral spinal fluid samples for biological analyses. Results of genomic analysis of these samples coupled with clinical outcomes of the patients involved in this study are anticipated to improve risk classification and better define treatment options for children with medulloblastoma.